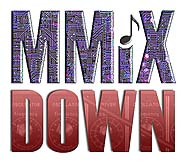 This blog, The MMiXdown, began as an initiative of The MMiX Festival of Interactive Music Technology in Summer 2009. In 2010, we are expanding to include all things related to 21st century music and related performance as we find it. Software and laptop improvements present new possibilities for composer/performers to create complex soundscapes in real-time during live performance. The focus of the festival was to demonstrate that these emerging audio technologies are instrumental in new artistic creations, and to inform the public regarding the current state of this art form. The artists presented in MMiX have set a new bar in that discourse and provided live performances, media installations and workshops. Ableton, creators of LIVE 8 and Cycling ’74, creators of Max/MSP/Jitter were primary sponsors of the festival with additional support by DubSpot NYC and Eventide. Media sponsorship for the festival was generously provided by WNYC 93.9 FM and 820 AM, New York City listener supported radio.